God’s idea of marriage is for a boy and a girl to leave their mom and dad and live happily ever after. Satan wants to separate what God joined together. Jesus tells us plainly in Matthew 19:6, “What God joined together let not man put asunder” (American Standard Version). It is not that man cannot separate what God joined; it is just forbidden to do so. God does not forbid what cannot be disobeyed. Men have divorced and will continue to do so. This destroys the idea that your marriage in God’s sight is forever, even if you divorce. This is an unbiblical concept. God permitted a man to divorce his wife so that she could become another man’s wife. He speaks of the “former husband” and the “latter husband.” God forbade a man to remarry a woman that he divorced (see Deuteronomy 24:1-4). This should help us see that the purpose of divorce was to set the mate free to remarry. Today, we have people espousing the idea that a man must return to his first wife in order to repent. What some call repentance, God calls an abomination. Let’s consider what the Old Testament taught about divorce. Ezra insisted that the Israelites divorce the pagan wives they had married (see Ezra 10:1-44). If a man married a foreign woman he had taken captive in war and she did not please him, he was free to divorce her (“let her go” or “set her free” according to Deuteronomy 21:10-14). If a man purchased a wife and did not desire to keep her, she could be sold to another Hebrew. If he kept her and married another, he was still obligated to feed her, clothe her, and provide the conjugal duties of a husband. If he did not do so, she was free to leave on her own without returning the purchase price he paid for her. Any wife could be divorced if her husband found some uncleanness in her. If he gave her a bill of divorce she could marry another, but the former husband could never have her back as his wife. (Uncleanness was not adultery because an adulteress was put to death; see 24:1-4). • A bride falsely accused of not being a virgin at marriage (see Deuteronomy 22:13-19). • A bride who was found not to be a virgin at marriage. She was stoned to death (vv. 20, 21). • An adulterous wife. She was stoned to death (v. 22). • A wife raped by her husband before they married (v. 29). • A wife suspected of adultery but found innocent (see Numbers 5:12-31). But you say, “We are not under the law of Moses.” Thank God we are not! Those under the law were permitted to divorce because of the hardness of their hearts. Jesus and his apostles taught differently and would have us go back to God’s original law for marriage. In the Gospels Jesus answered an insincere question about divorce and declared God’s will from the beginning: “Do not separate what God joined together.” And he issued a different law for those in the kingdom of God. We are not to divorce unless our mate is guilty of fornication, which is any sexual and illicit act. He does not require the guilty parties’ death, but on the other hand, he does not forbid divorcing such a mate. Jesus told his disciples that the Holy Spirit whom he would send would lead them into all truth. God has revealed through Paul in 1 Corinthians 7 additional teaching on marriage and divorce that Jesus never spoke about. It’s imperative that we do not regard what Jesus said in the Gospels as a “one size fits all” revelation on marriage any more than we would regard John 3:16 as the only verse to consider about salvation. If we would understand God’s law today, we must realize God spoke much more about it. This is why he insists marriage partners are not to withhold their bodies from one another (vv. 3-5). He would like all to have his gift of celibacy but said it is better to marry than burn with passion (vv. 6-9). He reminds them that the Lord’s command is for a woman not to depart from her husband, but if she does, she is not to remarry but be reconciled to her husband. Nor is the Christian husband to depart from her. This agrees with what Jesus said while he was here on earth (vv. 8-11). He then gives additional scenarios Jesus never addressed. If a believer is married to a non-Christian and the non-Christian is content to remain in the marriage, the believer is not to leave. If the non-Christian leaves and divorces, the believer is not obligated to keep a covenant that no longer exists, since he or she has been divorced. Paul tells believers to remain with unbelievers because they may win them to Christ—and God knows if the unbeliever has been driven away or rushed into a decision to abandon the marriage (see vv. 10 -16). Paul called Christians to stay in the marriage relationship they were in when they came to Christ. If they were married when they came to Christ, they were not to divorce. Paul reasoned with the Corinthians that because of the present distress of persecution they were suffering, it was good for all of them to stay single. But again, if they were married when they came to Christ, they were to stay married. Virgins were free to marry as well. Paul reminded them of the trouble they may face because of persecution and added that the obligations and pleasure of being married also can hinder giving attention to the work of the Lord (vv. 17-35). He also addressed the man who was engaged or betrothed and told him he was not sinning if he married during the time of distress. If he could refrain from marriage and chose not to marry because he had power to abstain from marriage, he was doing well (vv. 36, 37). He then addressed fathers who might be wondering if they should give their daughters away in marriage during the distress. Paul says they may, but they do better if they do not (v. 38). Paul then reminded Christian women that they are bound to their husbands until death, but granted widows the right to marry—but only in the Lord. He suggested that during the persecution they may be happier if they remain single (v. 39). Later Paul encouraged younger widows to marry (1 Timothy 5:11-15). Paul consistently affirmed that Jesus gave the rule of the kingdom: “Do not divorce.” However, Jesus never spoke about these other scenarios, but the Holy Spirit gave further commands and even let Paul give some personal advice about the present distress. 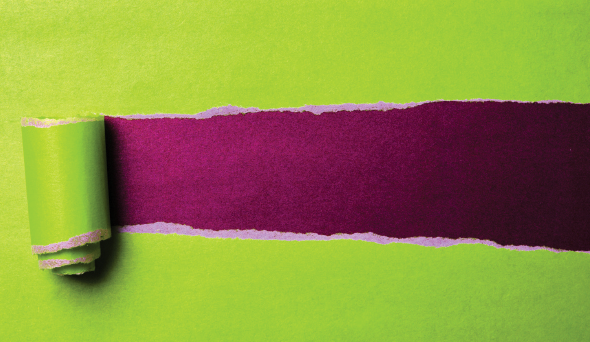 Merely looking at what Jesus said is not rightly dividing the truth. He led the apostles into all truth. Under grace we do not have to kill unfaithful partners. Under the law, they would be dead. Under grace we may free ourselves from those who broke the marriage covenant so we do not have to bear the spirit of jealousy and disease that unfaithfulness causes. Remember that God divorced Israel for unfaithfulness for his name is “Jealous” and he is a jealous God. Some people forbid any remarriage, even if the partner was unfaithful. Many make remarriage the sin rather than the conduct that led to the divorce. God hates divorce, but he does not hate those who are divorced. If a Christian divorces for reasons other than sexual immorality, our Lord has spoken plainly enough to understand. However, we have learned that his Spirit has answered many questions he did not address. If you find yourself in a divorce, look to what Jesus and his apostles said about the cause and cure of divorce. Marriage is a covenant and if it is broken, it is well to ask, “What has God revealed about my status now?” He has spoken to it. Read and heed his revelation. You could have a duet instead of a duel. George Faull, a minister and writer, is founder and president of Summit Theological Seminary in Peru, Indiana. What does God want for marriage? What does the Old Testament say about divorce? What did Jesus say? What did Paul teach? How should the church deal with divorce today? 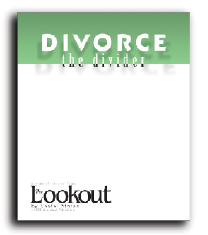 Since its publication in 1979, Knofel Staton’s five-part series, Divorce the Divider, has been in constant demand by readers of The Lookout. To accommodate our readers’ requests, we have issued a special reprint of this excellent series. This 12-page booklet may be purchased for only 99 cents per copy plus shipping.